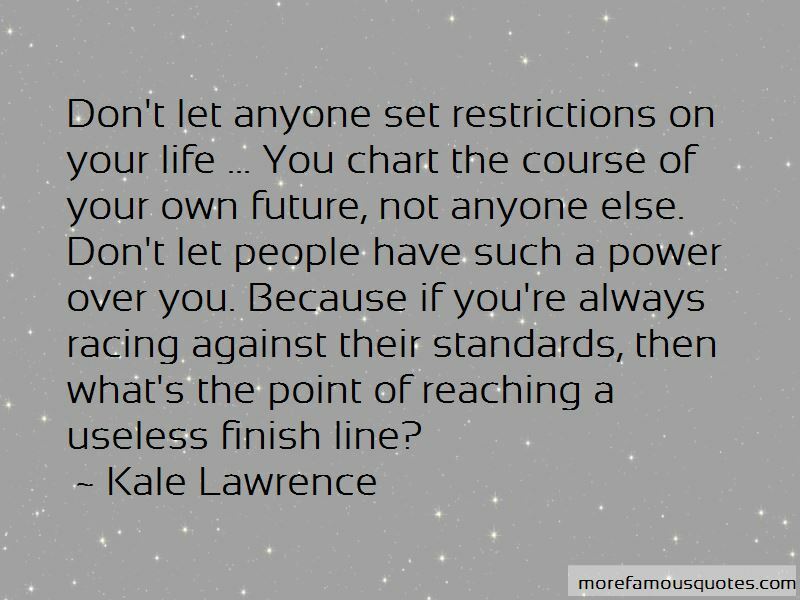 Enjoy the top 3 famous quotes, sayings and quotations by Kale Lawrence. Shut up, you fool ... Really. I'm running out of things to throw at you. 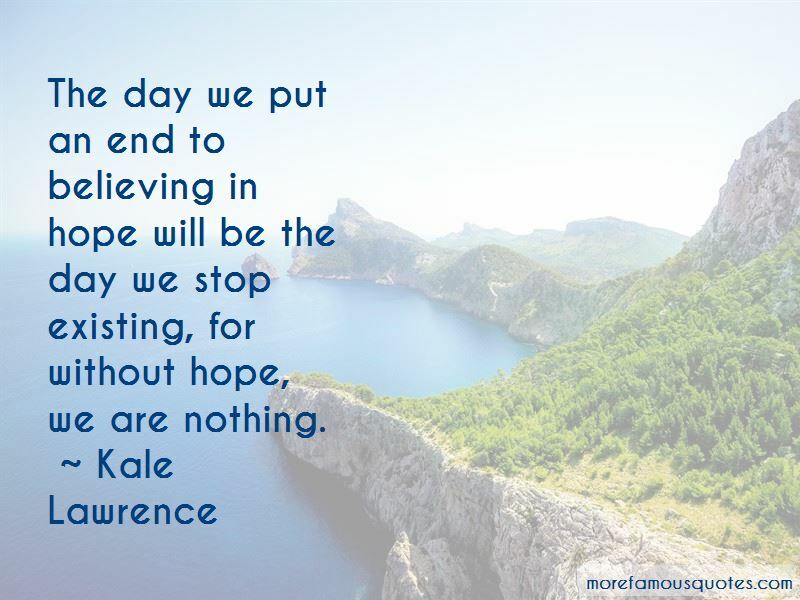 The day we put an end to believing in hope will be the day we stop existing, for without hope, we are nothing. 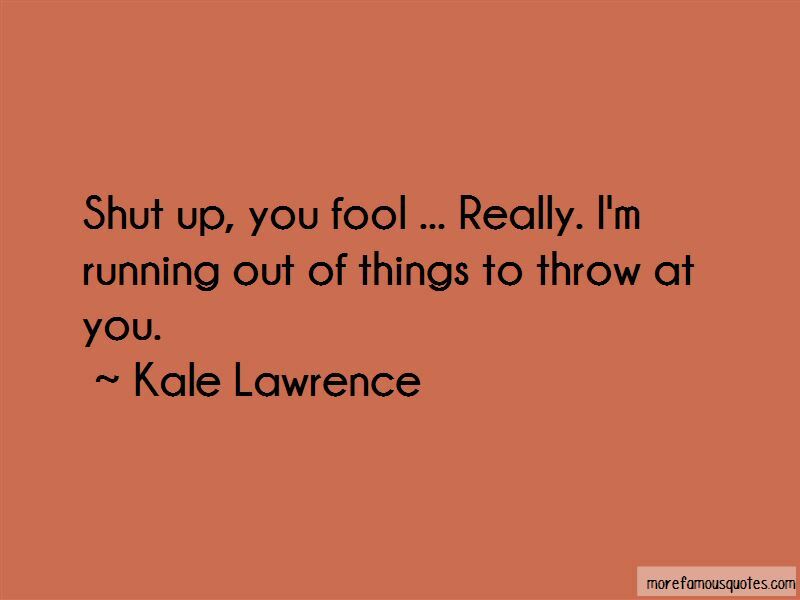 Want to see more pictures of Kale Lawrence quotes? Click on image of Kale Lawrence quotes to view full size.